The 6N2A-2C YuMicron CX motorcycle battery was the first small engine starting battery to use "lead calcium" technology. 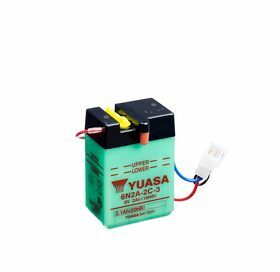 This special technology means the 6N2A-2C YuMicron CX generates more power, requires less maintenance, and lasts longer than any other conventional battery. Because of its unique design, the CX will generate 5% to 8% more cold cranking amperage than our own high-output 6N2A-2C YuMicron lead-antimony battery. For high compression machines, this means greater reserve capacity and more starting power. The 6N2A-2C YuMicron CX lead calcium technology also reduces water loss, so the CX requires servicing (water filling) only about one-eighth as often as ordinary lead-antimony types. 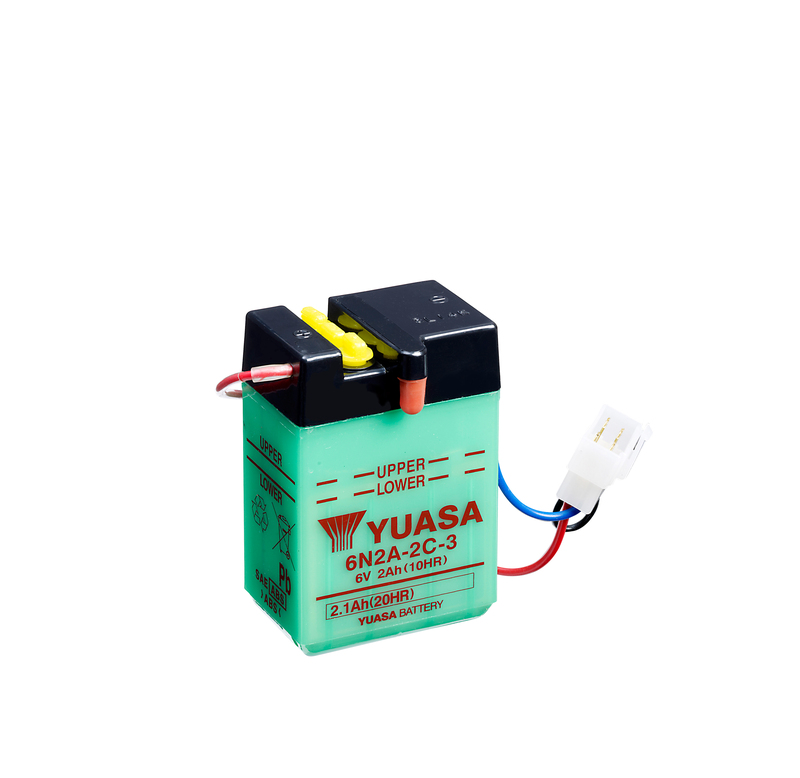 The 6N2A-2C YuMicron CX holds its specific gravity more than three times as long as lead-antimony type batteries resulting in a longer shelf life. This feature means longer periods between charges, especially during winter months.